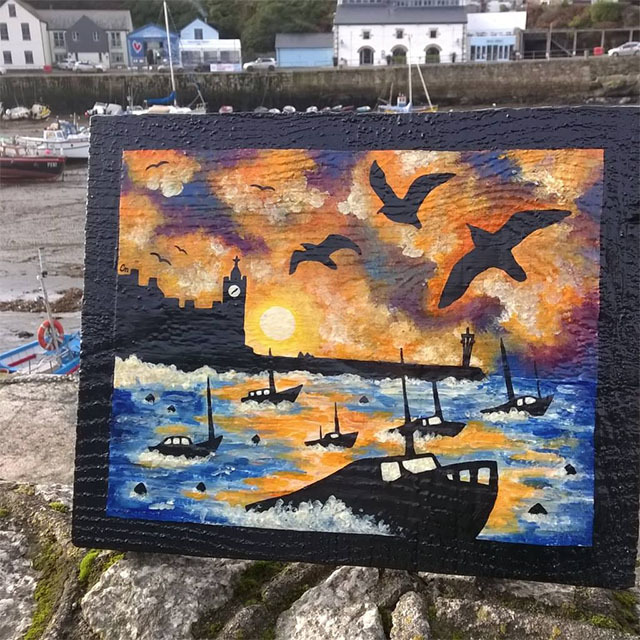 Nearly 200 pieces of art, sculpture and furniture, all created from the broken Porthleven sea defences, will be auctioned in aid of The Fishermen’s Mission on 18 March. The wooden harbour defences, also known as baulks, were destroyed by the fierce storm which hit Cornwall on 5 February 2014. 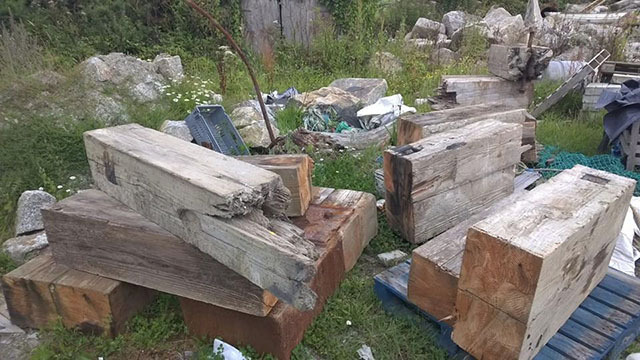 Instead of protecting the harbour, the broken two tonne timbers, with metal bolts and ends, were tossed around in the waves and destroyed ten boats. 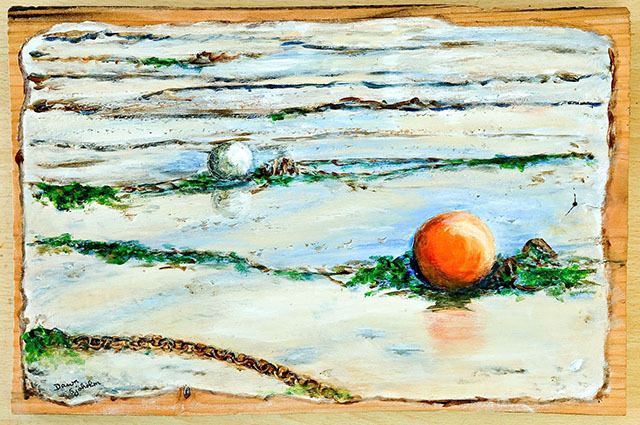 Fishermen lost floats, nets and crab pots, and their work was nearly impossible for six months. 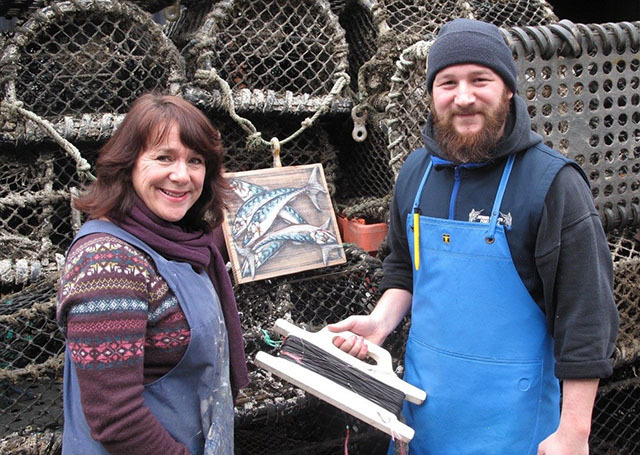 Following the storm, The Fishermen’s Mission gave over £110,000 to fishermen and their families in the South West. 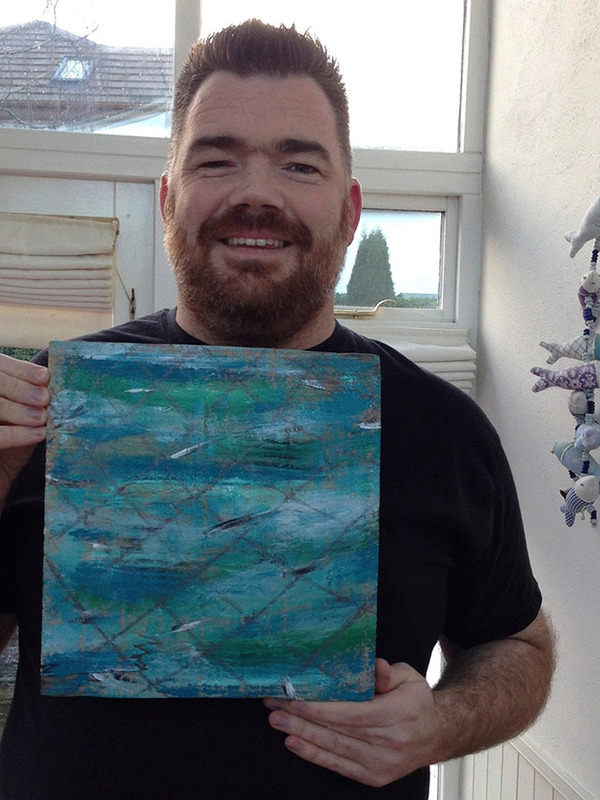 Julian Waring, the charity’s fundraising manager, came up with the idea of reusing the broken baulks to raise much needed funds for the charity. 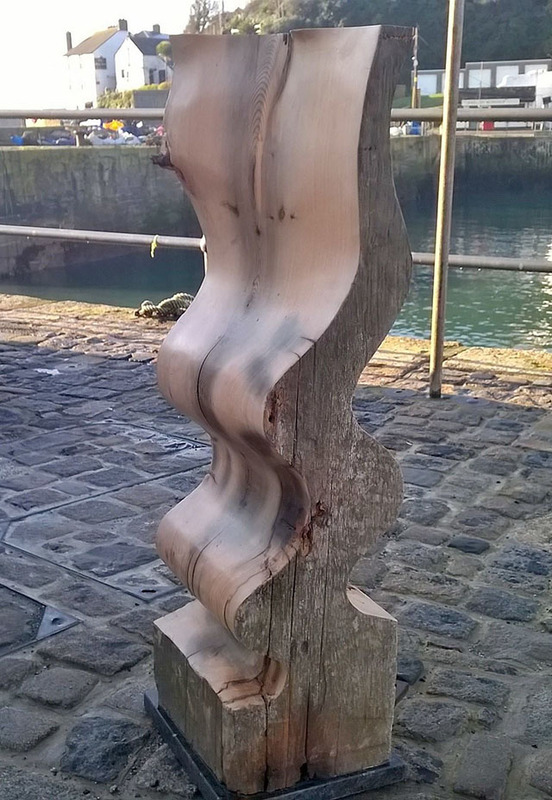 The first task, back in spring 2016, was to cut the wood into manageable sizes, suitable for artists’ boards, and this was done (free of charge) by Marconi Timber Framers in Helston and Jo’s Sawmill in Mabe. 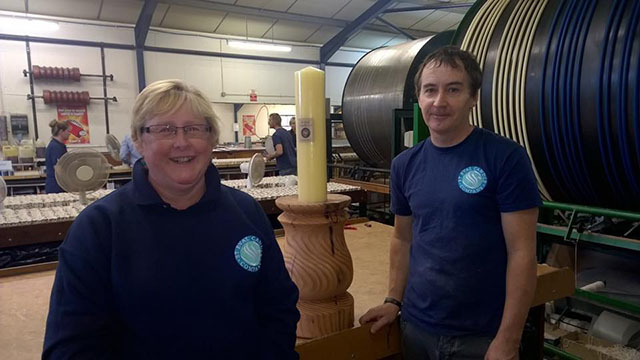 A wood turner in Porthleven, David Cuisick, took a large chunk of the wood and within three days produced a large candle holder; St Eval Candle Company donated a bespoke candle for it. And so the project began. 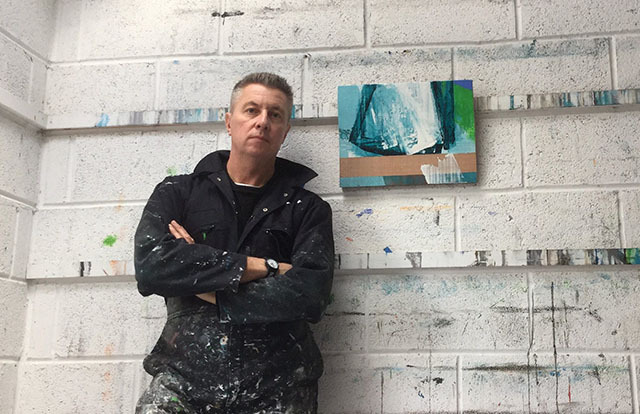 In September 2016, many artists, carpenters and other creative people were contacted, and asked to contribute to the project. Since then, almost 200 pieces of art have been created from the broken baulks. These include art, furniture, sculptures, a book that’s bound with the wood, mosaics, glassware and ceramics. 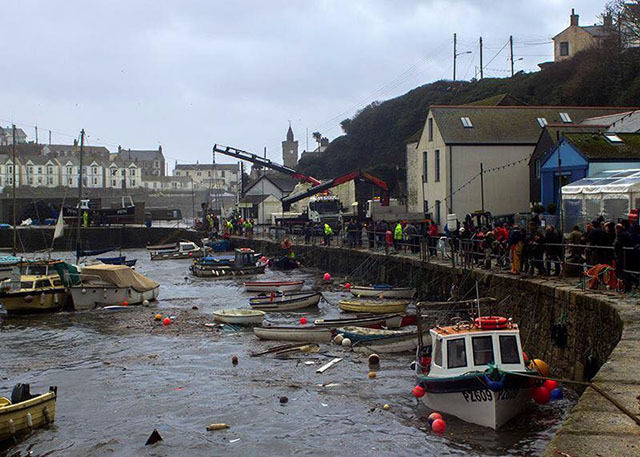 On the anniversary of the storm, Sunday 5 February, images of all the artwork will be projected onto the Porthleven Clock Tower. 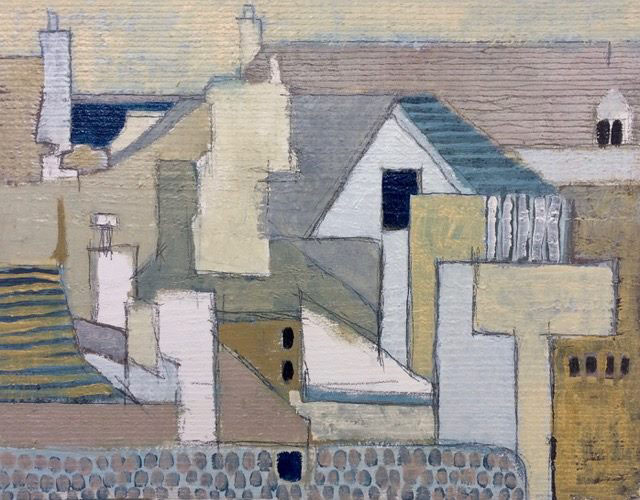 The works will then be exhibited at The Old Lifeboat Gallery in Porthleven from 5 to 10 March prior to an auction on 18 March, which will take place in a marquee at the Harbour Head and online. 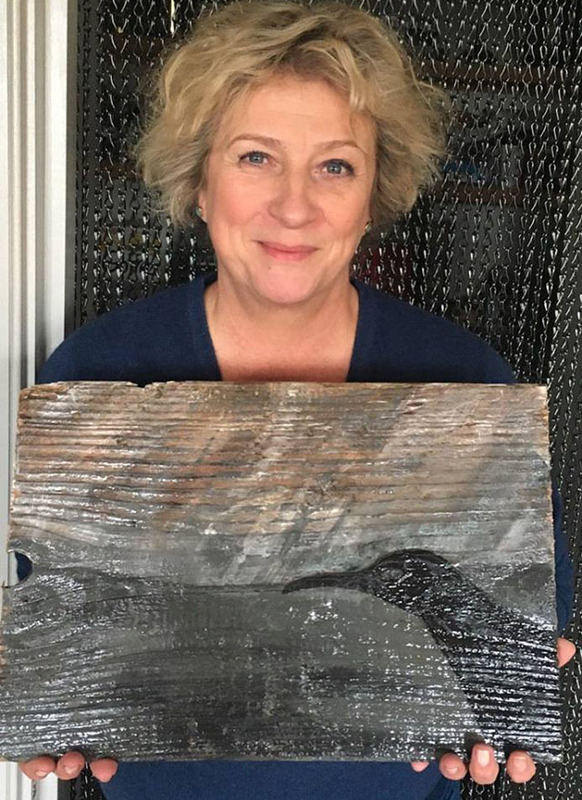 Successful bidders will be taking home a piece of social history, as well as a unique piece of art, and all money raised will go to The Fishermen’s Mission. Friday 3 February, 7.30pm: An Evening with Kernow King at Porthleven Public Hall. £8 in advance (book online) or £10 on the door. 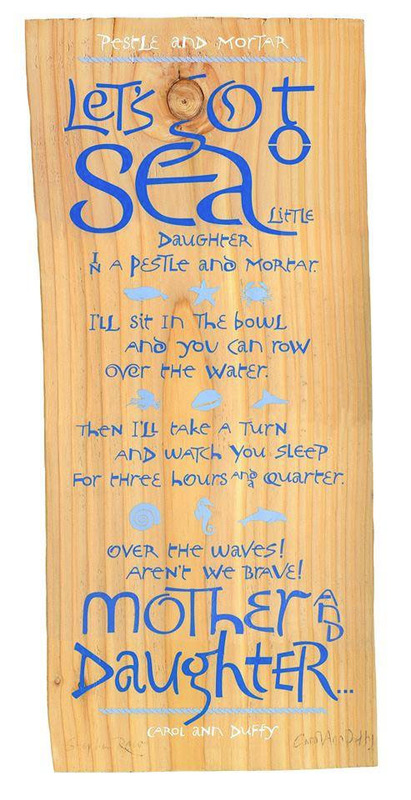 Proceeds to The Fishermen’s Mission. Sunday 5 February, from 6.30pm: outdoor projection of all the artwork images onto the Porthleven Clock Tower (weather permitting). 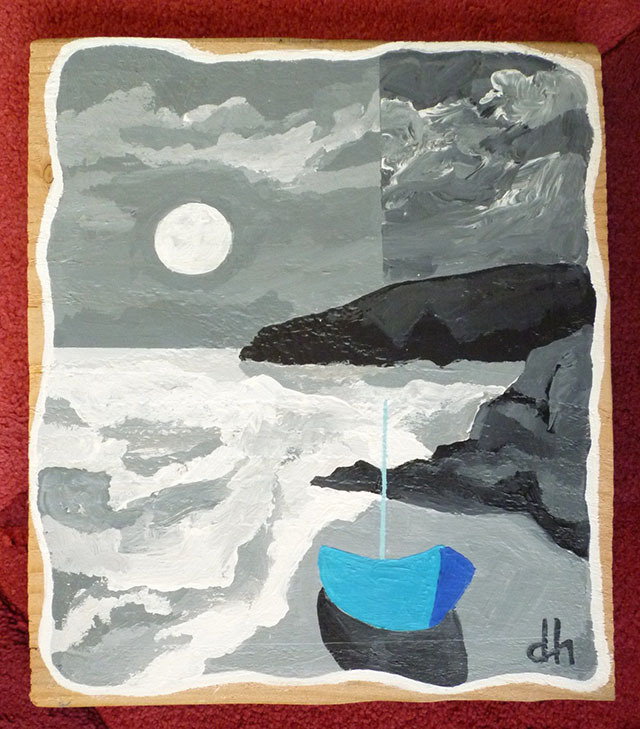 Sunday 5 to Friday 10 March: exhibition of all artwork at Old Lifeboat House Gallery in Porthleven. 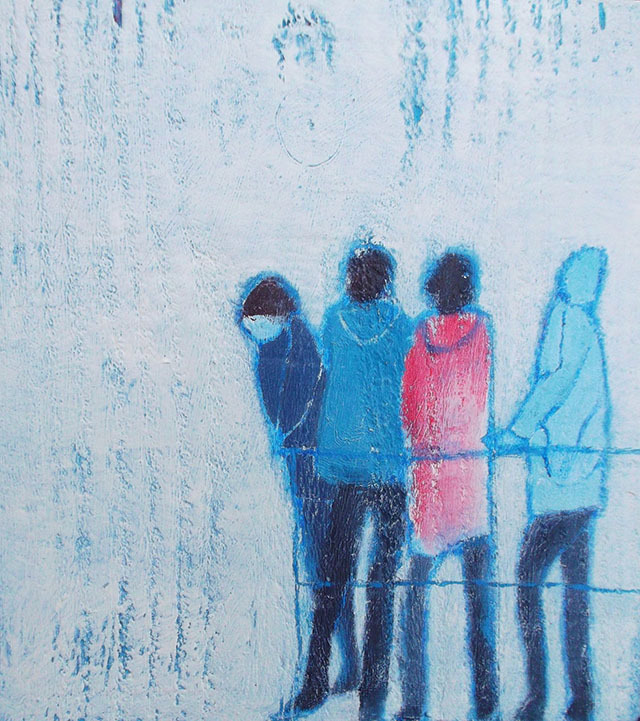 Saturday 18 March, from 4pm: auction of artwork in a marquee at the Harbour Head and online.